Students aged 9-25 and Seniors 65+ receive a discount of 20% off individual classes or class packs. This special pricing is only available in studio and cannot be purchased online. Discount is not valid on memberships. To take advantage of this special pricing, just stop in 15 minutes early to any class and ask for the student or senior pricing. If you qualify, just register online below. Then simply attend the required number of classes per month (varies by provider--but typical amount it 12x/month) and receive your monthly rebate directly into your checking or savings account! Having ﻿trouble ﻿registering? Click here for directions. Be rewarded for what you already purchase! 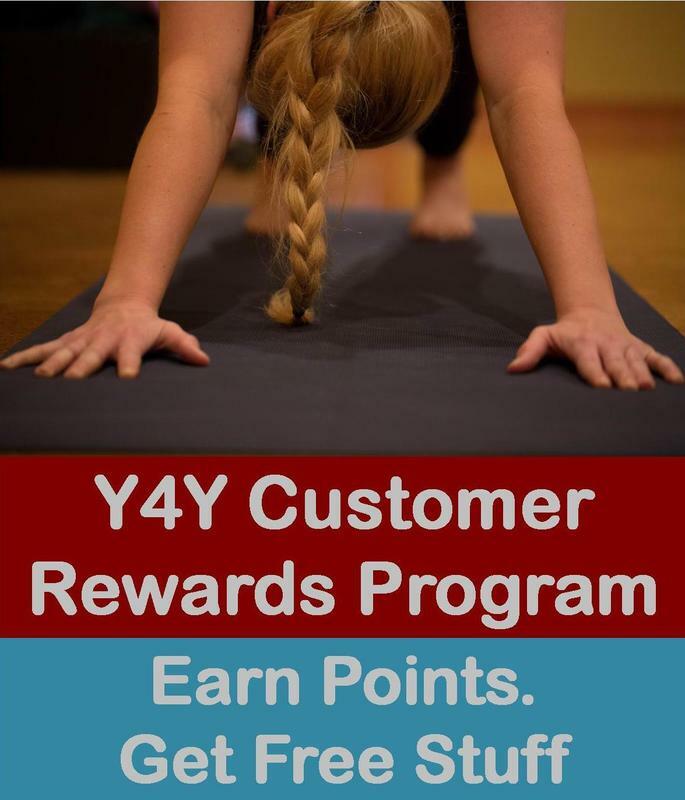 Our new rewards program gives you points for every dollar you spend at Y4Y. You also earn bonus points by booking online or referring new students. All students are automatically enrolled and start earning rewards immediately! Create an account at Y4Y (all current students already have one). Redeem your Reward Credits* for classes, merchandise or massage! *Reward credits expire in 365 days. Must have minimum of $5 in rewards credits to redeem. Redeemable in increments of $5 only. To see your rewards: Log into your account. Click on the "My Info" tab. On the menu below that, click on "Account" and scroll down to the bottom. You'll see a section labelled "Rewards" that lists your points total and $ value. Be sure to Like our Facebook page and sign up for our Email Club to receive our periodic specials and offers. Do you want to save up to $50 per month on your membership dues? Bring a friend to your next class. In addition to earning 20 points towards your reward credits, Y4Y Members can also receive up to $50 per month OFF membership dues via referrals! Simply refer someone to Y4Y and if they become an auto-pay member, you will receive $5 off your membership dues EVERY MONTH for as long as they remain a member. Just make sure the person you refer lets us know that YOU are how they heard about us--and let the savings begin!